How do you pronounce Ji M? That’s an interesting name? Also thanks for this tutorial very helpful and up to date. may be because you are offline? could be? ERROR: ‘~linuxuprising’ user or team does not exist. There is no ‘~’ in the PPA. That’s your error. This is great… but how do auto-accept the license? Thank You For The Help Man This Was A Lifesaver!!!! Really don’t know where does that swung dash come from. Everything went smooth installing into Ubuntu 18.04 Server. Thanks! 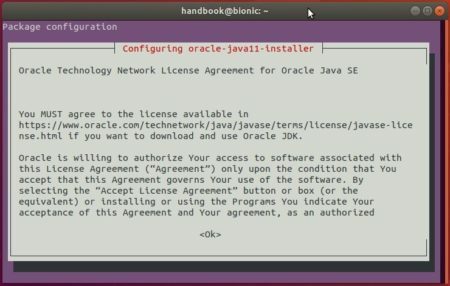 How can i get my java home?